One and a half days before our trip to Thüringen started, we thought it might be a clever idea to research a few locations to visit. To speed up the process, we split up the work among us. One of us flicked through flickr, one found "lost places" on geocaching and I browsed through The Urban Explorers Guide to the Galaxy. Especially because Thüringen is a rather uncharted territory in the latter and I consider it part of this site's mission to clear out the fog of war in these areas, I was more than happy to stumble over a presumed sanatorium with only one photograph depicting beautiful half-timbered architecture. Our encounter with Rapunzel was more of a Quickie, so we were left with plenty of time and one big question - What now? Everybody got out their iPhones, Nokia Communicators and other Gadgets they use to keep track of locations and I looked at my old-fashioned but reliable printouts. It didn't take us long to make the decision and after three or four coffee breaks, we started right away. Thanks to my printouts, we found the place without much trouble. 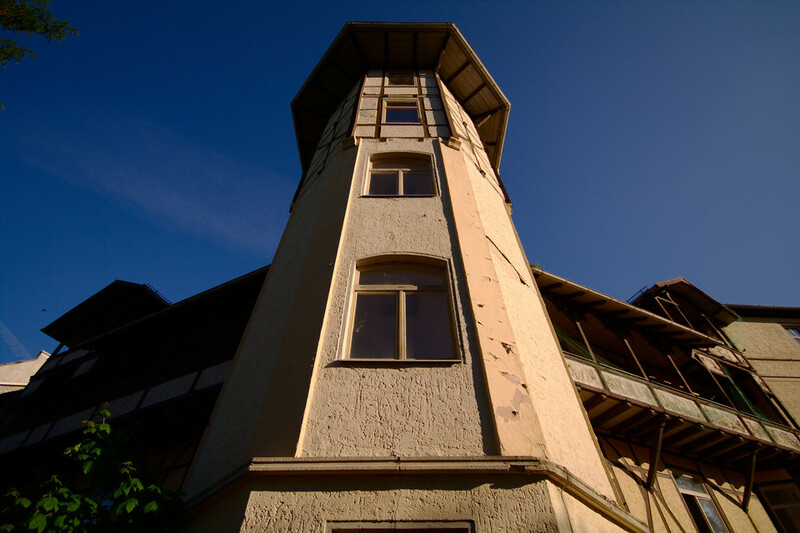 The architecture did somewhat deliver, the sanatorium unfortunately not so much. The information in The Guide was obviously a bit outdated. 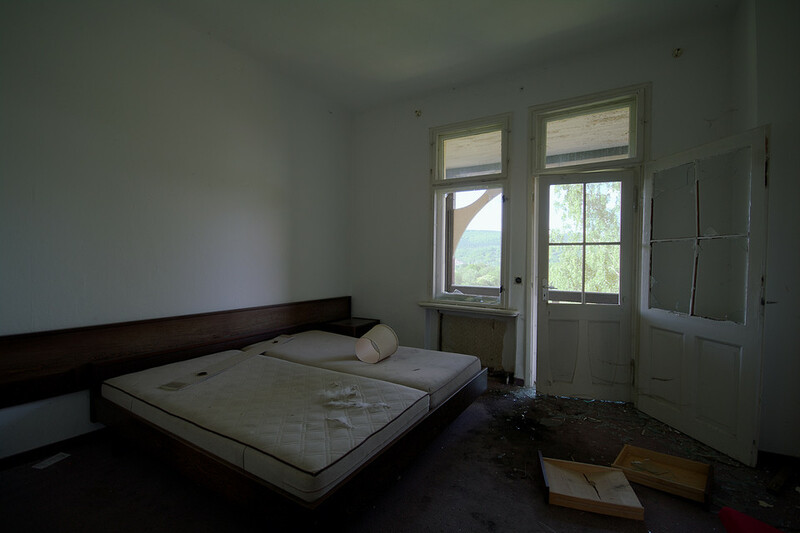 At some point between the early 20th century when it was constructed and the early 21st century when it was abandoned, the sanatorium had stopped being a sanatorium and transformed into all kinds of other things, mainly a hotel. Over the time, this building must have seen a lot of history. At least one, maybe two world wars, the German separation, the cold war, the fall of the soviet union and the German reunification. 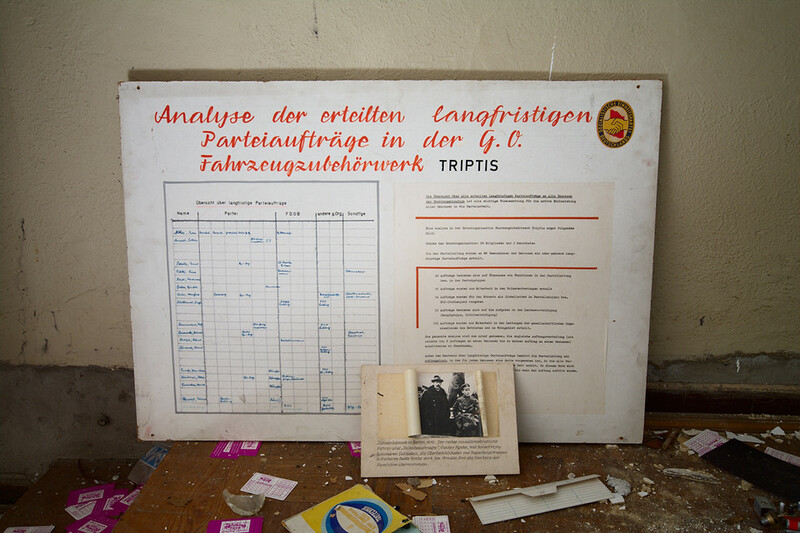 Traces of history could be found in the more remote parts of the buildings, including a room full of East-German memorabilia. Sadly it had been trashed and thrown around like most of the things in the building. But that is unfortunately typical for most of Eastern Germany. The part that I found most interesting was located somewhere in the back of the building. After opening a door on one of the upper floors, there was only black behind it. 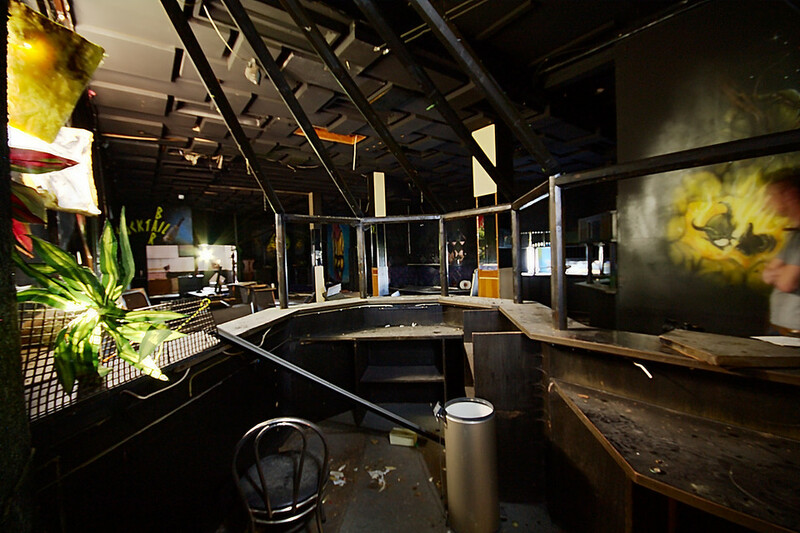 At first it looked like there had been a fire but then it turned out that it was in fact a disco with an accompanying arcade center. 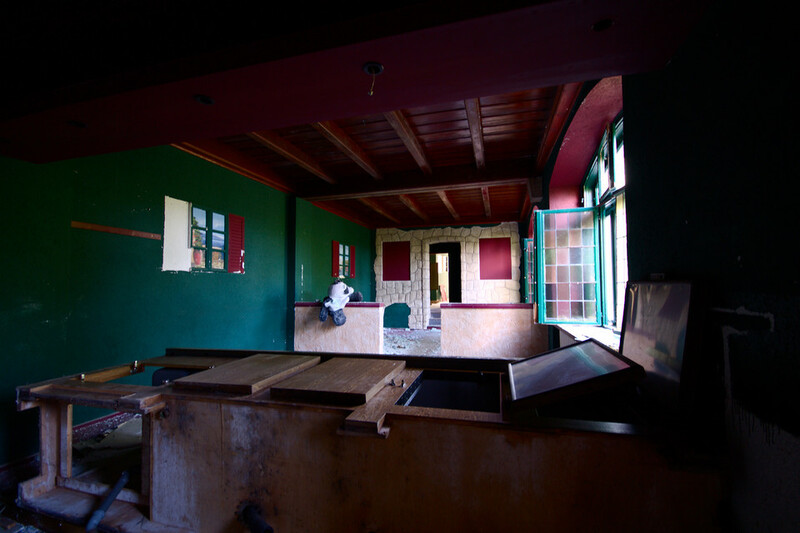 They had all the walls and furniture painted black with artistic graffiti on the walls and several bars. The parties here must have been a lot better than the parties where I grew up - where the beer was hot, the women were cold and the walls weren't even painted at all. After we had all taken our photos, we decided it was dinnertime. According to Nokia's mapping service, there was a hotel with a restaurant only 5 meters behind us. Genius!